Luckily the owner decided to go against the scrap-and-build culture that is prevalent nowadays, and embarked on an ambitious plan to convert the building into several condominium-style apartments that were sold off to individual buyers. Between 2004 and 2006 the building was retrofitted to meet current earthquake-resistant construction standards and refurbished into 10 apartments ranging from 26 ~ 96 sqm (280 ~ 1,033 sq ft). When new, a 50 sqm apartment was priced around 30 million Yen, and had a monthly land rent of approximately 30,000 Yen. The apartments were sold under a 62-year fixed-term land lease which allowed the owner to retain ownership of the land under the building. When the lease expires in 2068, the land-owner will buy back the 142-year old building from the apartment owners at a pre-determined price. The hope is that the building will be refurbished a second time and continue to be used by future occupants. Although 10 years have passed since completion, there have been no reported resales in the building. Goichi Takeda was considered to be the founding father of European architecture in the Kansai region, having introduced Art Nouveau and the Vienna Secession styles to Japan. He contributed to a large number of projects in Japan in the early 1900s, including the National Diet Building in Tokyo. Kyoto Prefectural Library (1909), still standing. Doshisha Women’s College of Liberal Arts James Hall, Kyoto (1913), still standing. Kyudo Kaikan, Tokyo (1915), still standing. Waraku-an Villa, Kyoto (1916), disassembled. Goryu Palace, Kyoto (1921), still standing. 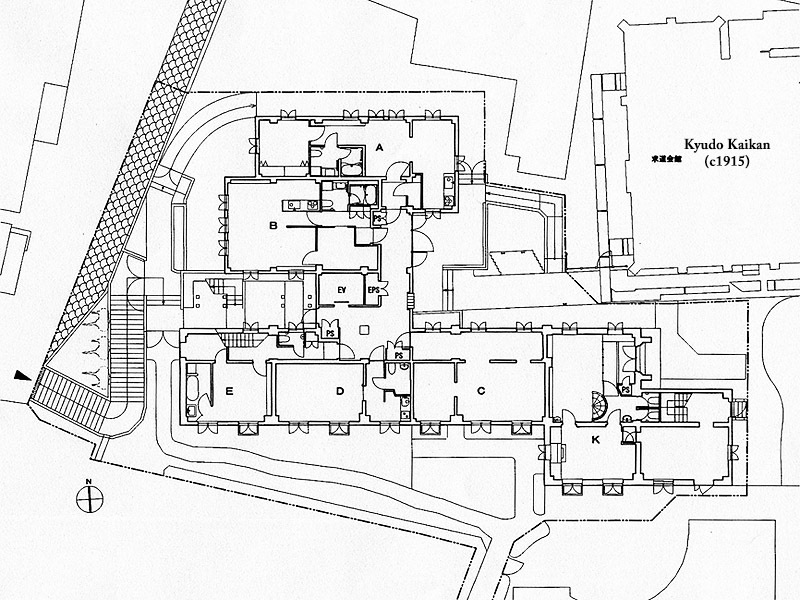 Kyoto City Hall (1927~1931) (co-designed with Shinichi Nakano), still standing. Kansai Electric Power Co. Kyoto Branch Office (1937), still standing.